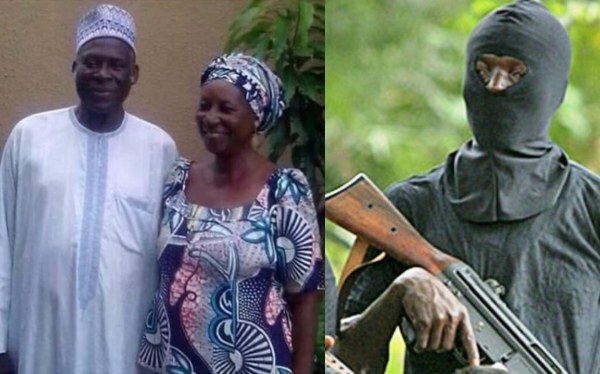 Suspected assassins have gunned down the parents of Mr. Andrew Malgwi, a Partner in the law firm of Messrs Rickey Tarfa & Co. Dr. Mwajim Malgwi, a renowned medical doctor and proprietor of Polyclinic in Jimeta, Yola was killed alongside his wife and maid by unknown gunmen around Boggare village, Jimeta, Yola. They were returning home from a meeting with farm hands on Saturday. A source at the law firm told CITY LAWYER that the incident threw the entire law office into mourning as the news filtered in today. “Andrew is such a calm and peaceable colleague, much loved by everyone in the firm,” said the source. “We are all still in shock over this cowardly act.” The source also told CITY LAWYER that the victims will be buried on Wednesday. An associate of the late medical doctor, Ibrahim Walye, who disclosed the killings Sunday morning, could not give further detail, but a source said the assailants who were moving in a tricycle, waylaid the couple and gunned them down. The Adamawa State Police spokesman, Othman Abubakar, confirmed the incident. He said in a report by a national newspaper that no arrest had been made but that his men were still investigating the incident. The late Dr. Malgwi was a commissioner for health in Adamawa State in 1988-89. He was in his 70s. The family of the deceased was expected to issue a statement on the incident. Malgwi had exactly two weeks ago co-sponsored the monthly meeting of the Nigerian Bar Association (NBA), Lagos Branch. A self-effacing Bar-man, Malgwi had in November 2017 again sponsored the branch monthly meeting . He joined Rickey Tarfa & Co., a leading litigation law firm, in August 1995.